Every collection isn't complete without one. Obtained the body from a good friend, it alder. Pretty much straight of the mill design. 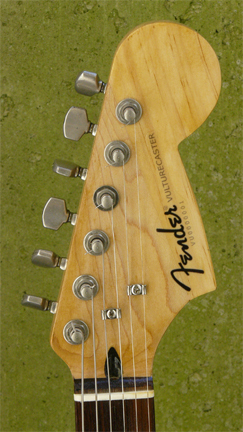 Only mods were a steel trem block, a tempered claw for the spring retainer and some alternate pickup switching. 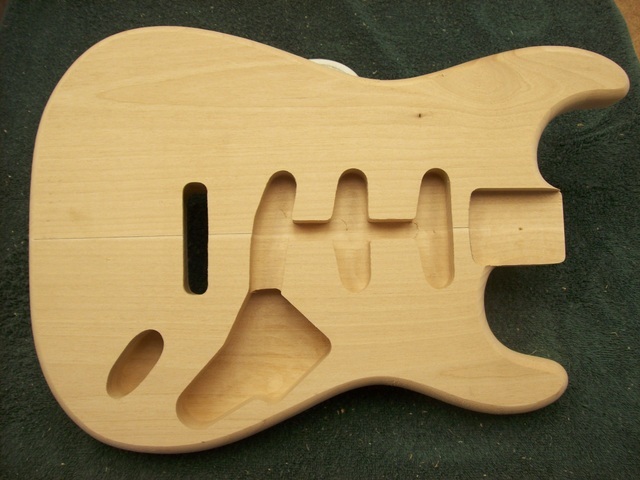 The headstock was blocked out and made into a CBS style by adding some additional maple and doweling it. 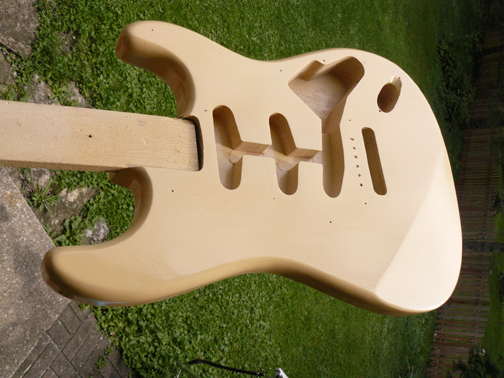 Cream color with lacquer nitro clear, no primer.